PT GS Battery - GS Battery is a well-established automotive parts company in Indonesia with core business competencies in acid battery manufacturers. PT GS Battery producing high quality lead acid storage products for automobile and motorcycle. PT GS Battery was founded in 1972 and is the first battery producers in Indonesia under license from Japan Storage Battery Co Ltd. PT GS Battery is joint venture company between Indonesia's automotive parts giant PT Astra Otoparts Tbk (Astra Group) with Japan's Toyota Tshusho Coorporation, and GS Yuasa International Ltd. 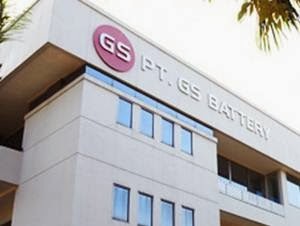 According to information found in the Company's website, PT GS Battery is based in Jakarta and now has 3 acid battery production facilities and directly employs nearly 3,000 trained staff in Jakarta, Karawang, and Semarang. Minimum Bachelor's Degree (S1) in Electrical/Electronic Engineering or Mechanical Engineering with minimum GPA of 3.00. Demonstrated competence in Autocad, inventor, CAD, CAM. Fresh Graduate candidates is preferred. Willing to be relocated at Karawang. Minimum Diploma's Degree (D3) in Mechanical with minimum GPA of 2.75. Minimum Bachelor's Degree (S1) in any field with minimum GPA of 3.00. Good communication, analytical and presentation skills. JobsCDC.com now available on android device. Download now on Google Play here. Please be aware of recruitment fraud. The entire stage of this selection process is free of charge. PT GS Battery - D3, S1 Fresh Graduate Staff, Engineer GS Battery Astra Group February 2018 will never ask for fees or upfront payments for any purposes during the recruitment process such as transportation and accommodation.